Translator Grace Jung uses her role to impress upon readers the agency of the translator as a feminist figure. Korean literature in translation has enjoyed newfound popularity in the English-speaking world over the past few years, but most recent publications have been—unsurprisingly—of contemporary literature. With a trend towards temporal and geographic diversity amongst Korean literature available in English (North Korean writer Bandi’s The Accusation being the most well-known divergence from South Korean voices), it is worth taking a look at British publisher Honford Star’s recent collection of the short stories of twentieth-century writer Kim Tong-in. In this anthology, Sweet Potato, translator Grace Jung uses her role to impress upon readers the agency of the translator as a feminist figure in the retranslation of a historical text. Sweet Potato takes its name from its most well-known story, also titled “Sweet Potato,” or “Kamja” in Korean. First published in 1925 by the Japanese colonial-era journal Joseon Mundan, the story is one of the seminal texts of twentieth-century Korean literature. 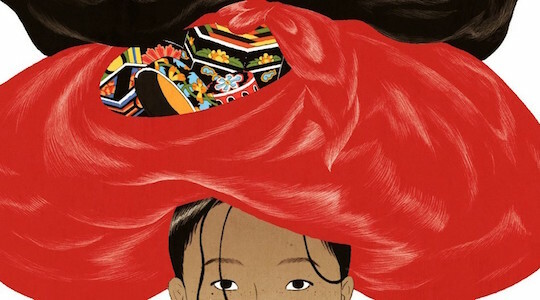 In fewer than ten pages, it recounts the life of Pong-nyŏ, a young Pyongyang woman of low social status who is sold to a much older and similarly impoverished widower. When Pong-nyŏ’s husband fails to support the couple financially, Pong-nyŏ turns to prostitution in the slums of Pyongyang in order to earn a living. She is overcome with anger upon learning that the Chinese Mr. Wang, her most frequent customer, plans to marry, but her attempts to kill Wang backfire, ending instead in her own death. The work is emblematic of Kim’s literary realism and has been interpreted to demonstrate that moral “choices” are situational, resulting from external circumstance rather than character flaws. Three quarters of a century after its initial publication, “Sweet Potato” remains popular, with new editions of the story released in 2000 and 2005 by publishers Ch’ŏngmoksa and Ch’angbi, respectively.